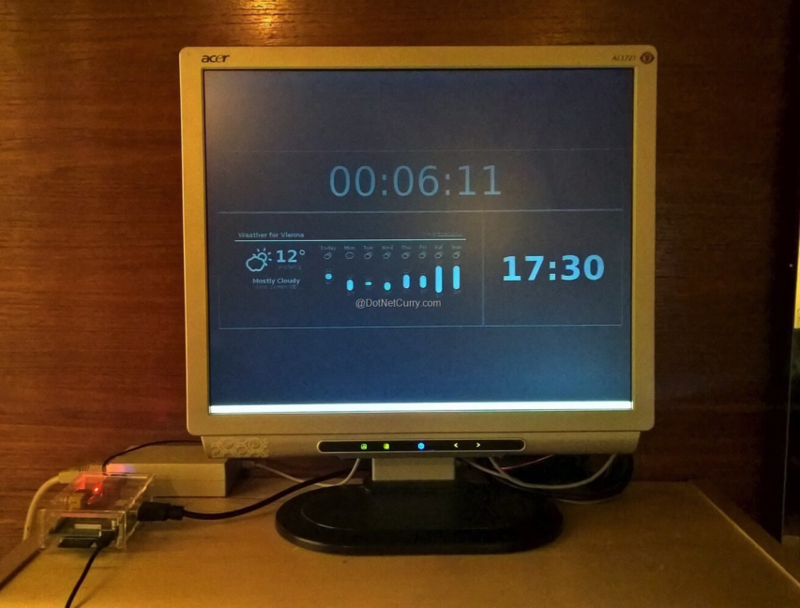 Windows 10 IoT app and Raspberry Pi 2 to display information for bus routes #piday #raspberrypi @Raspberry_Pi « Adafruit Industries – Makers, hackers, artists, designers and engineers! I use public transport to commute to office every day and use the official transport mobile app to check my bus timings. Instead of checking the app every day, I came up with an idea of using a Raspberry Pi and a free monitor to display a countdown for my next bus.